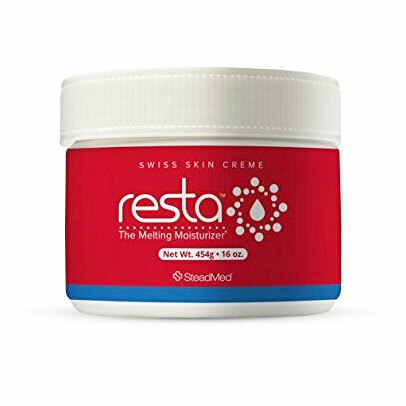 Resta Creme provides the highest level of concentrated protection and hydration for dry, irritated skin. Perfect for 1st and 2nd degree burns, sunburns, razor burn, and cracked/dry skin. Can also be used to help treat eczema, psoriasis, exzema, and dermatitis. Use on body, especially feet, to help with dryness. One of the best creams I've ever used. Hope they make it forever. Very soothing & not greasy at all. Recommended by a burn doctor to keep my mother's skin moisturized. Elta Is a great product I have used for many years. I have trouble finding it in stores, so thank you for carrying it. Very reasonable price. My son had 2nd and 3rd degree burms in a plane crash and the burn center gave us a jar of ths cream and we have used it ever since. It is perfect for protecting dry skin and a little goes a lonnnnng way. I don't brag on products very often but this is one I have and will continue to brag about. I use this daily. A must! I have been a hair stylist for over 40 years and have always had problems with my hands being dry and issues because of chemicals. I was SO thankful to find this product. It really helps my skin to replenish and repair. I gave some to a friend who had burned herself with a curling iron on her arm. It was a pretty good burn. She used this and there wasn't even a scar after healing. Doesn't take much and really makes your skin feel good. I would definitely recommend this product !